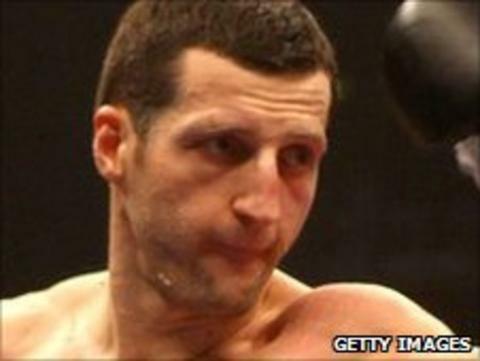 Nottingham boxer Carl Froch believes he can go on and become a "legend" if he wins the Super Six tournament. The 33-year-old defended his super-middleweight title with victory over Glen Johnson at the weekend and will now face Andre Ward in the final. Froch told BBC Radio Nottingham: "After this tournament has finished, as long as I am successful, I can defend my title a couple of times at home. "That will be legacy secured, I will go down as a legend." Froch's victory in the early hours of Sunday morning saw him retain the title he won for a second time with a unanimous points win over Arthur Abraham in Helsinki in November. "I have won the world title and been involved in six world title fights," added Froch. "It is now time to get my legacy secured and that will be fantastic for me and my family. "I can get myself down in the history books for years and years to come. "That's why I am in the sport, to prove that I am the best."